While preparing to sell their French holiday home, a mother and son's relationship is strained by the arrival of an enigmatic local boy. Steggall pulls out some clichéd imagery - none more so than Elliott's submersion under water, that most trite and over-used cinematic shorthand for depression - and a scene involving Elliott's experimentation with a carrot is unintentionally amusing. It's an unconvincing debut from its writer-director, but the performances of Lawther and Stevenson just about tip Departure over the line. While Benedict Cumberbatch won all the plaudits for his portrayal of Alan Turing in The Imitation Game, that movie featured an equally impressive performance from Alex Lawther, who essayed Turing as a schoolboy struggling with his sexuality. 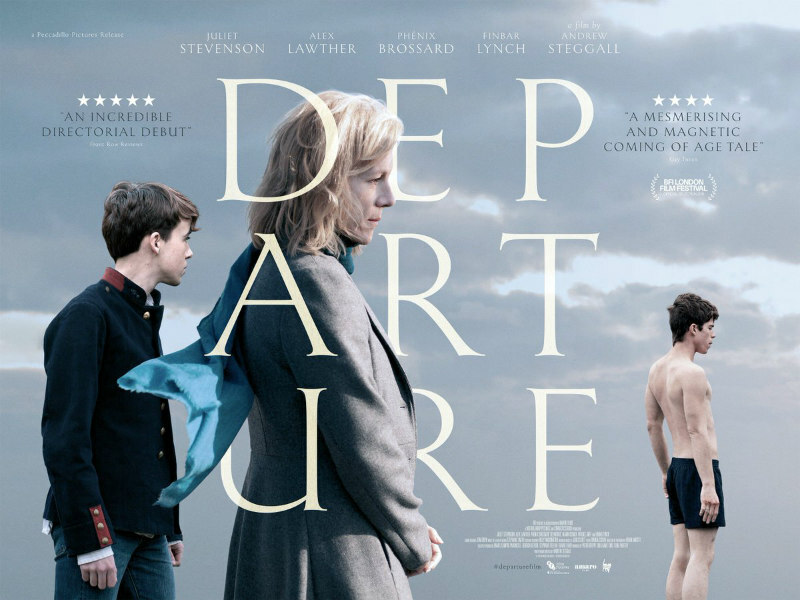 Lawther is back in a very similar role in writer-director Andrew Steggall's debut feature Departure. His turn here is the best thing about Steggall's otherwise largely lifeless film. 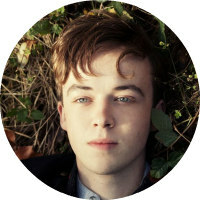 Lawther is Elliot, the teenage son of Juliet Stevenson's Beatrice. The mother and son arrive at the family holiday home in rural France with the intention of packing it up in order to sell, Beatrice having split from her husband (Finbar Lynch). While out walking, Alex spots an older local boy, Clement (Phenix Brossard), taking an illicit dip in a reservoir, and becomes instantly beguiled by the boy. He befriends Clement, but his intentions are based more on lust than any platonic friendship. When Clement is introduced to Beatrice, she herself begins to adopt the same feelings as her son. When we first meet Elliot, we immediately adopt a position of sympathy for a young boy wrestling with his burgeoning sexuality, but as the movie progresses, it becomes clear he's a lot more in control than we first assumed. There's no romantic aspect to his obsession with Clement, whom he barely displays any affection for. When Clement tells Elliott his mother is in a hospital, the latter makes a cruel joke about her being crazy. Corrected by Clement, whose mother is actually dying of cancer, Elliott apologises, but his motivation seems grounded more in fear of losing the chance to get his hands on Clement than any genuine remorse. His mother is no better. She sets her cap at Clement seemingly out of jealousy, emasculating her son in front of the boy. Throughout all this, Clement is largely a blissfully unaware innocent, a reversal of Terence Stamp's enigmatic stranger in Pasolini's Teorema. I'm not sure if this is actually Steggall's intention however. The film appears to ask us to empathise with the mother and son, but they're too knowingly manipulative and their misery seems rooted in middle class entitlement. Steggall pulls out some clichéd imagery - none more so than Elliott's submersion under water, that most trite and over-used cinematic shorthand for depression - and a scene involving Elliott's experimentation with a carrot is unintentionally amusing, reminding us explicitly of American Pie ("My mind's telling me no; but my body..."). It's an unconvincing debut from its writer-director, but the performances of Lawther and Stevenson just about tip Departure over the line.